Well this week has officially been my first week (ish) off work on maternity leave. I did work on Monday so I could accumulate some hours ready for next month. So here’s some images of the week! I sorted through Little Miss’ old clothes to see what we had available for next bubba. Turns out we have plenty of clothes! But not sure if they’re the wrong season – Little Miss was a January baby so her 0-3 months are winter gear. But the bodysuits and vests should still be fine. 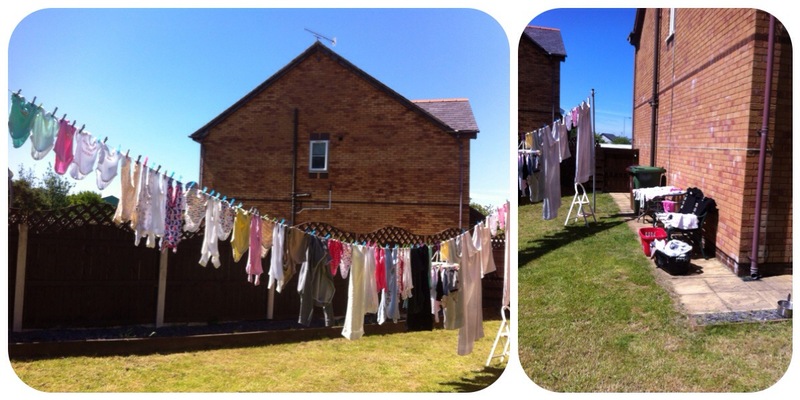 Thankfully the weather on Tuesday was fantastic so I managed to get all the washing done and dried in the sun. As you can see, I ran out of room on the washing line so had to put some out on the table and chairs to dry. Being at home has meant that I couldn’t just pop out for a sandwich at lunchtime. So instead I’ve been making different lunches. 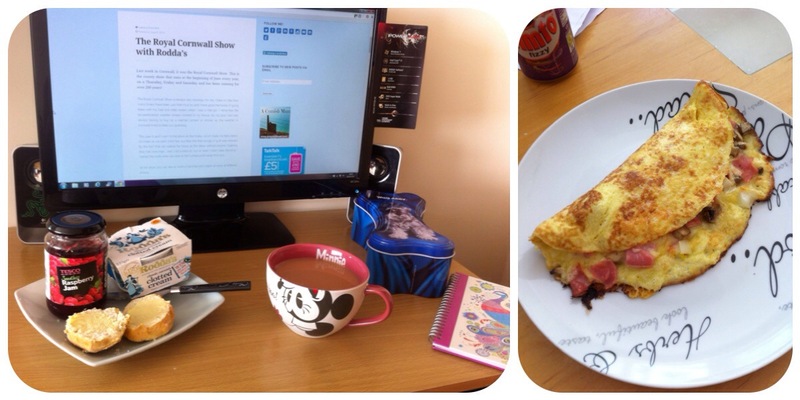 I had a lovely omelette mid week. I even had some cream tea (scone, jam and clotted cream – mmmm!). I’ve been trying to get some blog posts done ready for the upcoming weeks. 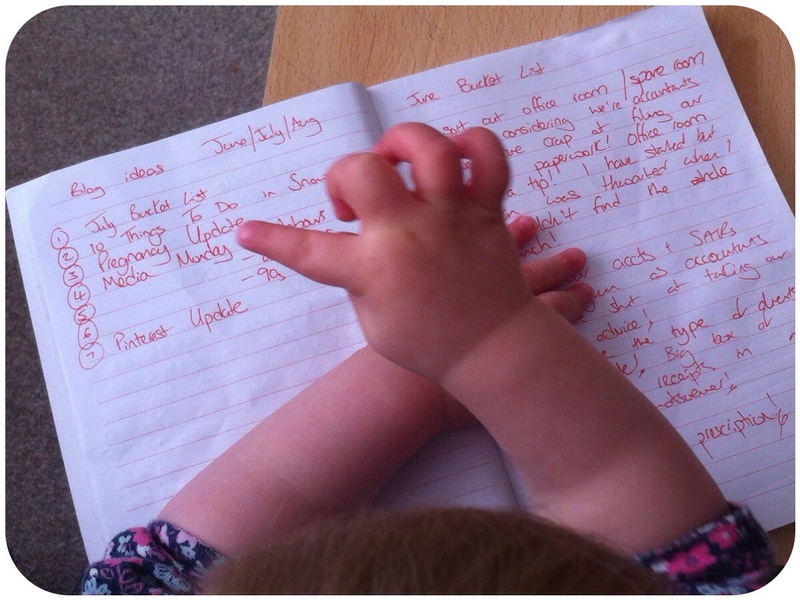 I’ve been jotting down ideas in a little notebooks and I’ve had someone helping me during the week. 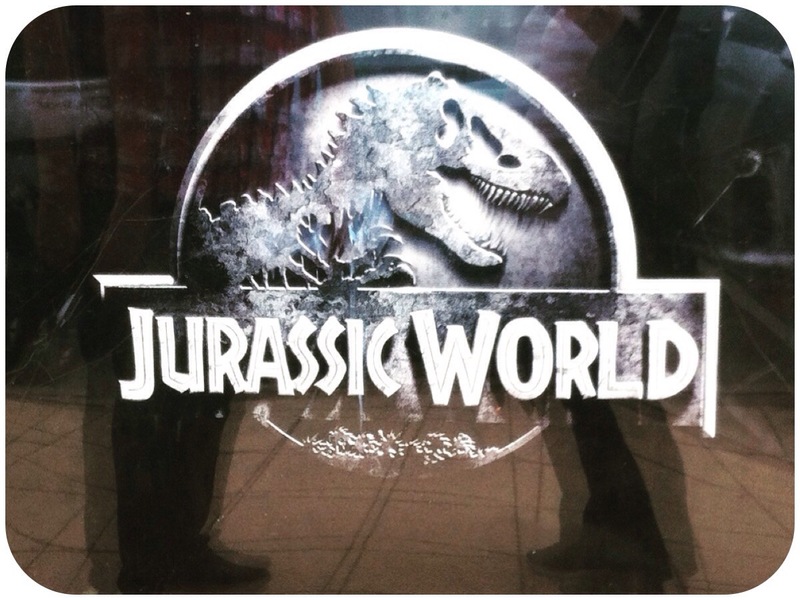 On Friday we shipped Little Miss to Nain & Taid’s for a sleepover and we went to the cinema to see Jurassic World. When they first announced this film I thought “no! First one cannot be beaten” but the trailers made this film look awesome – and of course having Chris Pratt play the lead male was genius! He’s so hot after Guardians! The film didn’t disappoint! It was awesome! Oh and when the theme music started it really gave me chills. JP theme tune is the best film theme tune of all time. I won’t give away any details in case you’re going to see it but it was fantastic! Then to finish off the week we had a day out to the Trafford Centre yesterday. Hubby needed new work shirts so we thought we’d make a day of it. 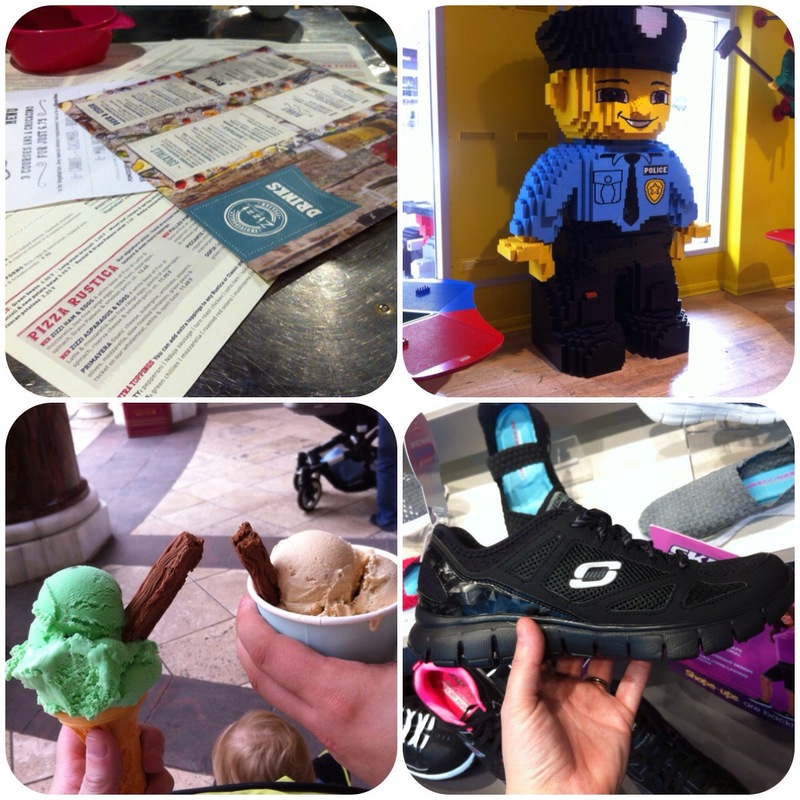 We ended up in Zizzi for lunch (would definitely recommend), took Little Miss around the Legoland attraction (she was a bit young for it really), had a Cadwaladers ice cream (where I was so pleased to see bilingual signs) and bought a new pair of Skechers (for Mam so she stops stealing mine)! All in all a pretty busy week and I haven’t even mentioned the consultant appointment! Wow, very busy week! Mine was pretty tame – I was mostly just working. The most exciting thing was going to pick up my residence permit on Wednesday. Wow!! Busy week but sounds fab! I’ve had one of those weeks which have been non stop but I haven’t felt like I have achieved very much. That being said home school has been amazing this week. Busy weeks are ok occasionally! 🙂 Yes I’ve seen your home school projects on Twitter – looks like so much fun! I also need to send you the postcards! Busy week! Enjoy your maternity leave. Thankfully both my girls were summer babies, but I can appreciate how frustrating having saved baby clothes which are “the wrong season” must be. Good excuse to be buying some more cute clothes though. Well I’m hoping I won’t have to buy many new clothes!